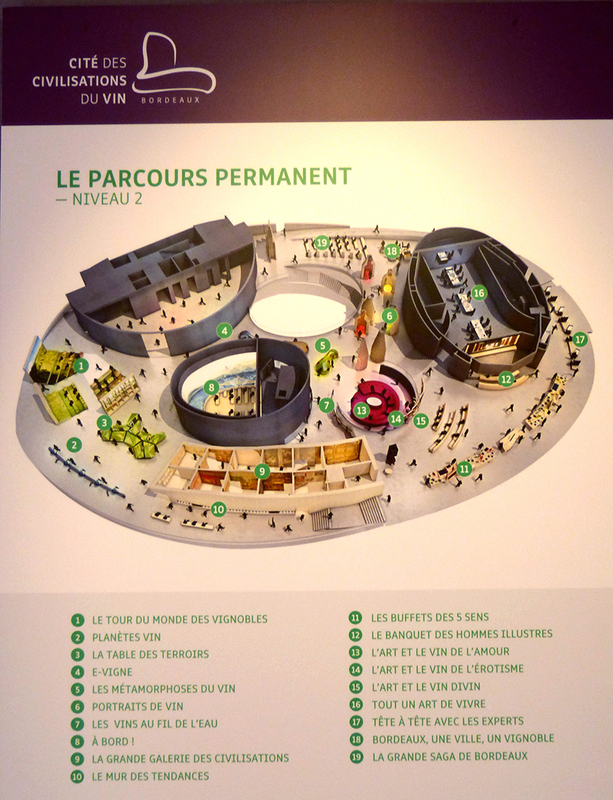 On Friday 3rd July 2015, the entire body of staff at Dourthe visited the site of the “Cité des Civilisations du Vin” in Bordeaux. 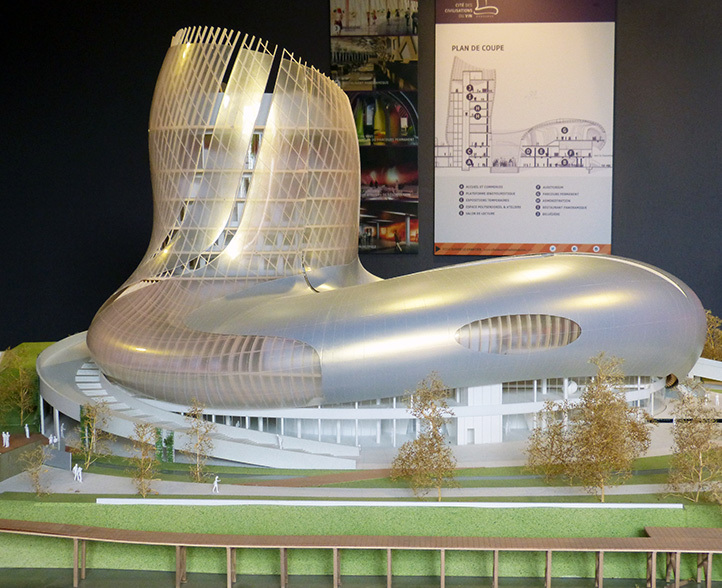 This wine museum in the making aims to share the different civilisations and culture of wine throughout the ages and will open its doors to the public in 2016. An iconic contemporary building located on the banks of the river in Bordeaux, the project is set to promote wine on a global scale. As a proud partner of the museum, Dourthe is delighted to bring you an exclusive preview of this unique setting, in the run up to its opening scheduled for June 2016. What makes this museum so unique is the building’s surprising immense curved shape, expressing the very spirit of wine and representing its flow and fluidity as it swirls in the glass. It is made predominantly from wood, glass and metal. Construction began on the site in November 2013. 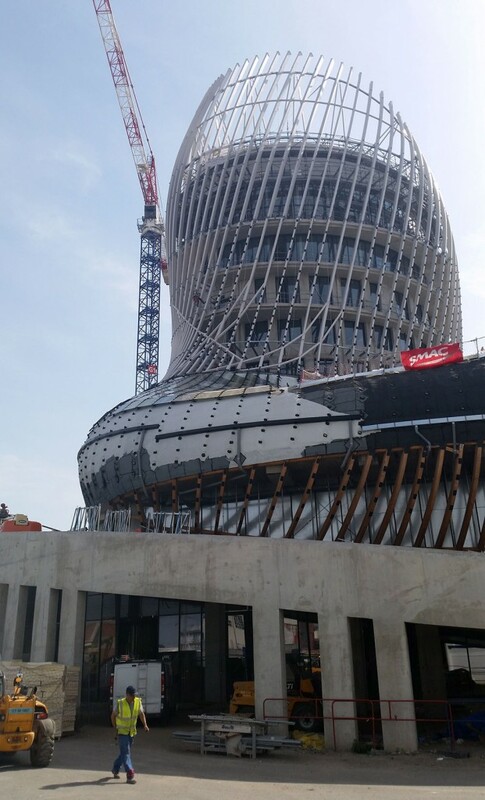 Essential building works took place until January 2015, and since the beginning of the year, work has focused on the erection of the wooden structure, and the metal and glass cladding. Work is set to start on the interior over the summer. The site has been designed as a vibrant living space comprising an on-going guided tour for visitors, a series of temporary exhibitions and a viewing gallery to soak up stunning views over Bordeaux while savouring a glass of wine. Visitors will also be able to visit the panoramic restaurant located on the 7th floor, brought to life by restaurateur Nicolas Lascombes, or the wine bar located on the ground floor. The museum will host a number of temporary exhibitions around the theme of wine throughout the year and will showcase works on loan from public museums and private collections alike. The inaugural exhibition will retrace the genesis of the museum, followed by a collection of paintings by well-known artists, from Manet to Picasso, celebrating the bars and social settings where wine is served. In summer, a temporary exhibition will focus on vineyards around the world. A series of workshops will provide visitors with an insight into food and wine pairings across the globe, as well as professionally led wine tastings in the museum’s sensorial spaces. A 250-seat auditorium will play host to conferences, concerts and is available to hire for special events. And finally, a 90-metre pontoon will provide a mooring for boats as they go on to discover the city of Bordeaux and its vineyards. The pontoon will also serve as an additional mooring point for Bordeaux’s network of river boats. The latest digital technology is on hand for visitors and is guaranteed to enhance the visitor experience. Smartphone headsets specially designed for the museum will be available to visitors on their arrival. A virtual companion available in 8 languages, the emphasis is on an interactive experience throughout the visit. A display dedicated to Bordeaux and illustrating the history of Bordeaux wine through the ages. See you in 2016 to discover this magical setting! Bordeaux Primeurs…what is it all about?